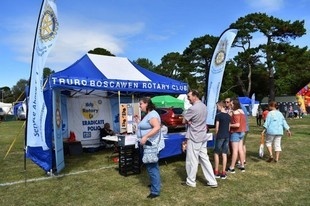 Welcome to the Rotary Club of Truro Boscawen. Here's a flavour of what we do! For the Club's Privacy and Accessibility Policy, scroll to the foot of this page. In the Truro School Chapel, featuring the Celtic Male Ensemble and the Truro School Barbershop Boys. 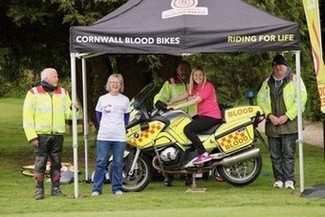 39 teams entered, and a great financial result was achieved - close to £6,000 raised for the Mayor's Charity (Cancer Research UK), Cornwall Blood Bikes, and the Club's Trust Fund. 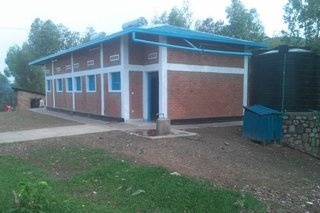 In association with the Rotary Club of Kigali Gasabo in Rwanda, the Club's International Committee has raised $61,000 to improve the Komera Centre, which supports over 140 youngsters whose disabilities include deafness and mental disorders. 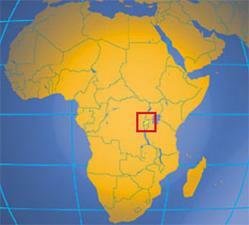 The Club's 34 men and women members give their time and talents to help with local and international concerns. 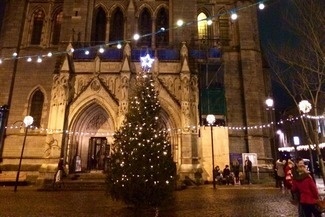 We meet at 18:30 on most Monday evenings at the Truro Cathedral Restaurant. All members of Rotary International are welcome as is anyone interested in finding out more about membership. 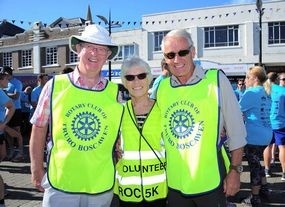 For more information about Rotary and the Club, click here or use the Membership Enquiry link at the foot of this page. 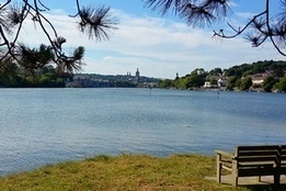 For more information about Truro and the area go to http://www.enjoytruro.co.uk. To view the Club's Privacy and Accessiibility Policy, scroll to the foot of this page or click here. 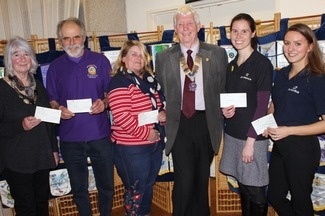 At an “open” meeting for members and their wives, President David Hughes handed over cheques totalling more than £5,000 to ShelterBox, St Petroc’s, Cornwall Hospice Care, the Cornwall branch of the National Autistic Society, and Penhaligon’s Friends. 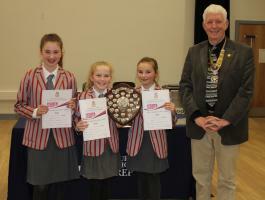 The money had been raised by a number of “fun raising” activities such as carol singing, quiz nights, concerts and golf days. Six schools took part at Truro Prep School on 24 January 2019. Once again, the topics covered were engaging and topical, and the standard was very high. 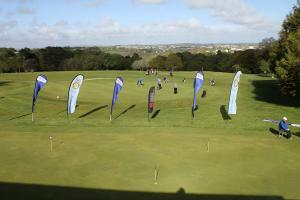 The winners were Polwhele House School (left) and Truro Prep School (right) were second. Polwhele House gained further success at the western area final in Penzance, going forward to the District Final in Saltash on 16 March. Competing aganst ten other teams from the whole of Cornwall and Devon, on this occasion Polwhele House came second, with chairman Eliza taking the honours as the best in that role - a terrific team achievement for a very small school! Well done! More on the topics discussed, and photos. Despite the worst night of the winter so far, with travelling difficult, an audience of just over 100 braved the conditions to reach Truro School's chapel. 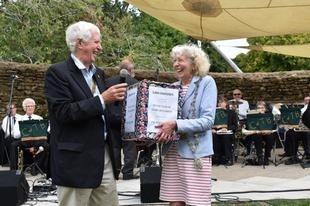 They were well rewarded for their fortitude with a wonderful concert. 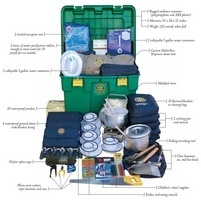 Nearly £1,600 was raisd for Shelterbox and other Rotary Club-supported causes. 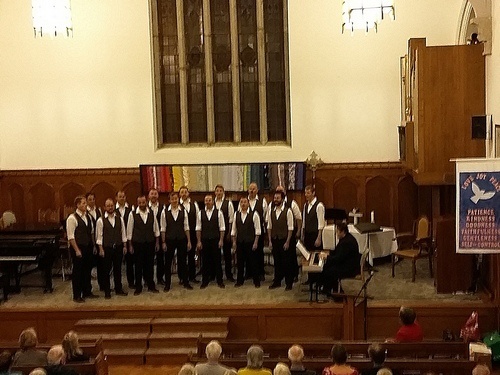 Both choral groups were a little depleted, but the professionalism of the Celtic Male Ensemble and the Truro School Barbershop Boys ensured a high standard of singing. 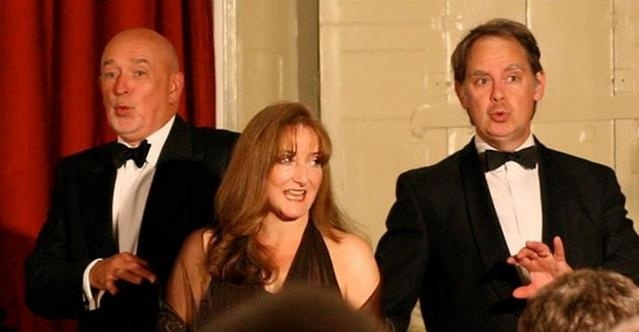 We are delighted to have secured the services of this well-known and talented trio of doctors for an evening of music, song, and amusement in aid of Shelterbox. Tickets are £15 each (incl a glass of wine and canapés before the event) and may be obtained by using this Contact link. More details are here. 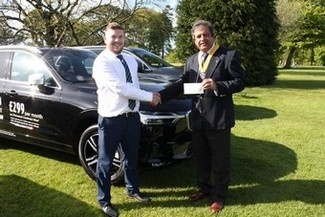 The 2018 Charity Golf Day raised close to £6,000. We hope to improve on that this year. 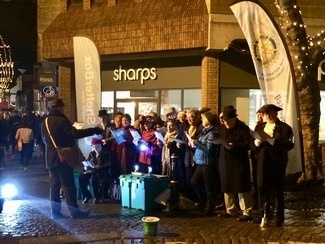 Carol singing in aid of the St Petroc's SocietyMembers and friends are taking to High Cross to sing carols on Wednesday "late night shopping" evenings in aid of the St Petroc's Society, which is aiming to eradicate street homelessness in Cornwall. 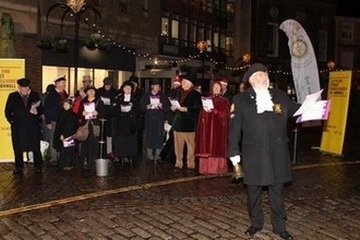 Ably assisted by the City Crier, Lionel Knight, just under £500 was raised over three evenings. 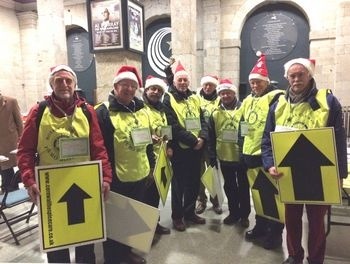 On a damp and blowy evening, a number of members turned out to assist as marshals for the annual City of Lights parade. 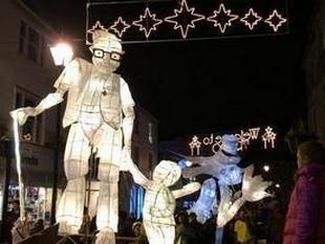 As always with this event, there were some impressive lanterns, this year supporting the theme, "Remember". 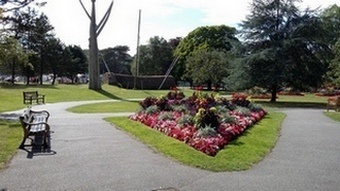 President of the Club, David Hughes, and Rotarian Viv Hendra joined the Mayor of Truro, Lindsay Southcombe, and members of the Truro in Bloom team at Trafalgar Roundabout on Sunday morning, 18 November, to plant 10,000 crocus corms on the roundabout at the entrance to the city. 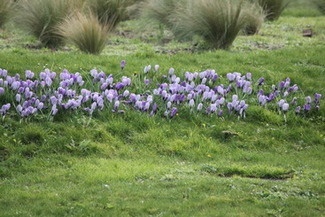 They flowered in February 2019, and will multiply. 5,000 of the corms were donated by the Club to the City's Mayor on 9 September as part of the Rotary International Purple4Polio project. This END POLIO NOW campaign, sponsored by Bill Gates of Microsoft, has seen millions of pounds raised since 1988 to provide vaccinations to end the disease. While there were only 20 new cases in 2017, there is still more work to do. 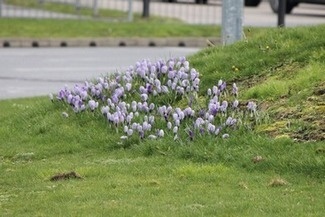 Rotary Clubs across the world are supporting the campaign through the purchase of purple crocus corms. 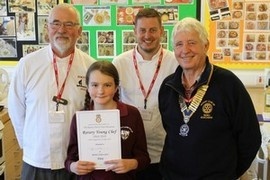 The winning entrant was Tiffany (L - with judges Nick Pickles, John Felton, and Rotary Club President David Hughes) and (R) her winning entry of Ghana Masala served with warm chapatis, with a pudding of mint and dark chocolate mousse. With second-placed Dexter, Tiffany went on to the Cornwall area round on 13 December, where Dexter won the first place and Tiffany came third. 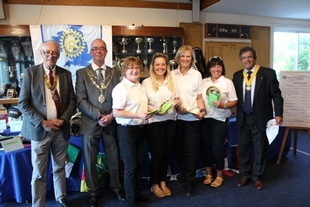 Rotary Club prizes and commendations were awarded to entries from St Erme with Trispen Community School, Truro Prep and Richard Lander School. 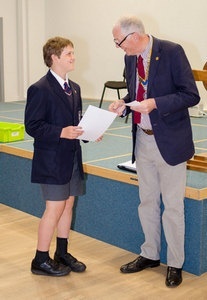 The local winner at primary school level, Pax McDowell (Truro Prep School left, with President Peter Bayly) won the District (Devon and Cornwall) age group. Over 70 children from Curnow School, Redruth, and Nancealverne School, Penzance, with helpers, spent a day at Flambards Theme Park sponsored by Rotary Clubs in West Cornwall. At the beginning of July, the Club sponsored three young people on the RYLA course, sharing the costs with their employers. 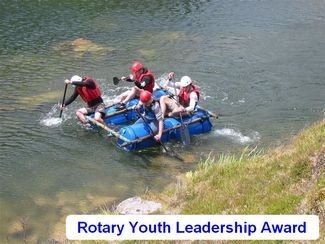 Reporting back to members at a recent meeting, they all agreed they had taken part in a life changing experience. Click here for a full report. The programme offers young people aged 14 – 28 the opportunity to learn valuable leadership skills, and develop confidence. The young people selected spend a week attending seminars, camps or workshops where they take part in activities designed to improve leadership and communication skills, learn about businesses and institutions, explore career paths, share ideas and experiences, learn how to coordinate youth activities and community service projects in the community, and discuss creative approaches for resolving family, social, and professional conflicts. Do you have a young person working for you who would benefit from a week's course of this nature? Would you be prepared to help us with the sponsorship of such a candidate? If you can answer "yes" to both questions, please get in touch using this Contact link, or the link at the bottom of this page. 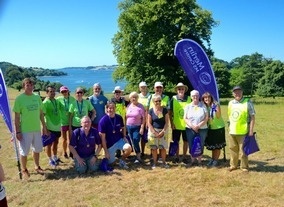 Participating or helping as course marshals on the ROC (United Response) 5 kilometre charity run and at the Trelissick Family Fun Run in aid of the Merlin MS Centre. 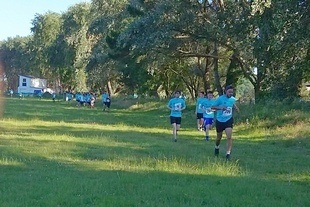 The events raised a combined total of around £18000. Members volunteer to help at the Foodbank each week. We support the St Petroc's Society throughout the year, and help with marshalling for the Cornwall Hospice Care Santa Fun Run at Christmas. 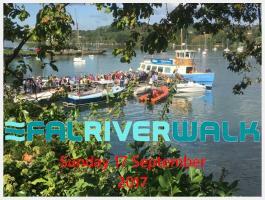 The Club was represented at Truro Day on 9 September. As part of the Rotary International Purple4Polio project to End Polio Now, the President handed over a box of 5000 crocus bulbs to the City's Mayor Lindsey Southcombe for planting around Truro. 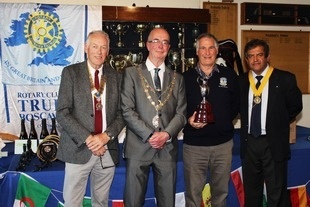 Close to £6,000 was raised for the Mayor's Charity (Cancer Research UK), Cornwall Blood Bikes, and the Club's Trust Fund.The winners of the perpetual Boscawen Trophy (sponsored this year by Truro Motor Company Volvo) were The Piranos from Perranporth Golf Club; the winners of the ladies' competition were a team from Humberts Estate Agents. Raj Dhumale presented cheques for £1,500 each to the Mayor and to Mark Holdroyd of Cornwall Blood Bikes. 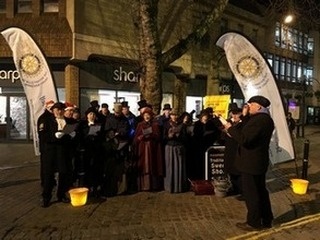 Last Christmas, Club members, wives, and friends formed a "community choir" to sing carols at High Cross in front of the Cathedral on the Wednesday "late night shopping" evenings before Christmas. Despite bad weather limiting this experiment to one and a half evenings, over £300 was raised for Club charity funds. 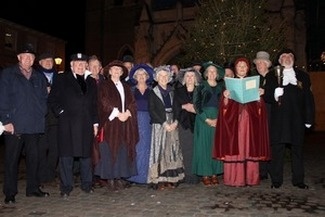 Beginning on 5 December, and on a further three occasions, our "choir" once again will strike up, with many dressed in Victorian costume to help the festive spirit along. Do come and join in. Proceeds to the St Petroc's Society. 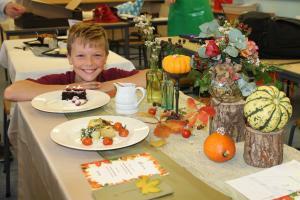 The concert, in the Chapel of Truro School on 19 October, raised over £1,000 for the Truro Foodbank. Members of RI/RIBI wishing to attend a meeting are asked to use the Contact link at the foot of the page prior to attending or, at short notice, ring the Attendance Officer on 01872 271655. Bookings close at 0900 on the day of the meeting. 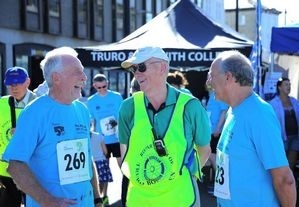 The Rotary Club of Truro Boscawen was chartered on 30 June 1989 and eight of its founders remain members. We are always glad to welcome members of Rotary International and their partners, and anyone interested in discovering more about Rotary. Please use this link to the Club's Contact page for information on different activities. To get in touch about any topic, click on this link, or the Contact link in the menu at the foot of the page.